When a nameless, struggling actor in 1970s New York gets the call that an enigmatic director wants him for an art film set in the Amazon, he doesn't hesitate: he flies to South America, no questions asked. He quickly realizes he's made a mistake. He's replacing another actor who quit after seeing the script-a script the director now claims doesn't exist. The movie is over budget. The production team seems headed for a breakdown. The air is so wet that the celluloid film disintegrates. But what the actor doesn't realize is that the greatest threat might be the town itself, and the mysterious shadow economy that powers this remote jungle outpost. Entrepreneurial Americans, international drug traffickers, and M-19 guerillas are all fighting for South America's future-and the groups aren't as distinct as you might think. The actor thought this would be a role that would change his life. Now he's worried if he'll survive it. 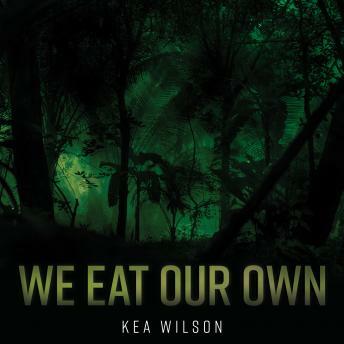 Inspired by a true story from the annals of 1970s Italian horror film, and told in dazzlingly precise prose, We Eat Our Own is a resounding literary debut, a thrilling journey behind the scenes of a shocking film and a thoughtful commentary on violence and its repercussions.